Mapledurham is a village with a special charm of its own, set in the valley of the River Thames, below the Goring Gap. It boasts cottages, a church, almshouses and a watermill with the old brick and flint walls. 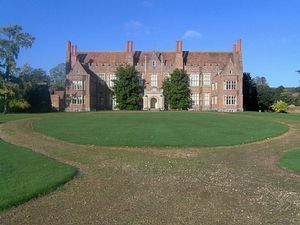 This is backed by the Elizabethan mansion and the still-older manor house of Mapledurham Gurney. Together they retain an ancient village layout which is rare today. 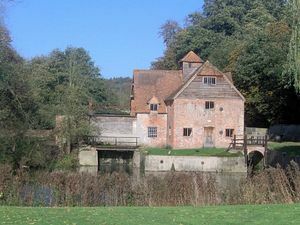 Mapledurham, "the maple tree enclosure", appears in Doomsday as two manors, Mapledurham Gurney belonging to William de Warenne, while Milo Crispin, Lord of the honour of Wallingford, owned the smaller Mapledurham Chazey. Mapledurham House, still the home of the descendants of the original family, is an Elizabethan Manor House situated beside the Thames and sheltered by the Chiltern Hills. Visitors can enjoy the collection of portraits, furniture, the great oak staircases and original plaster ceilings. There has a been a mill on this site since Saxon times and the present building dates from the 15th century, making it the only surviving working watermill on the Thames. Seeing the traditional machinery in action is one of the highlights of a visit to Mapledurham. The wholemeal flour ground here (and its by-products of bran and semolina) can be purchased in both the Mill Shop and the Gift Shop, along with other mementoes. Picnic tables are set out on the delightful Mill Island or you can picnic from your car along the bank of the River Thames in the country park. Cream Teas are available in the tearooms in the 14th century Old Manor, and can be enjoyed at the tables set on the lawns sloping down to the inside of the Manor Stables. By Road: There is no public transport to Mapledurham village itself so a car is essential. Reading railway station is about five miles away and provides services to most areas. London is only a half hour journey by rail and an easy drive via the M4. By Boat: Guests may arrive by boat from nearby Caversham. Boats leave Caversham at 2.00pm. on open days and then leave Mapledurham at 5.00pm. to arrive back in Caversham at approximately 5.40pm.